This is to inform the general public and entire world that IPOB Volunteers marched along all major streets and roads of Biafraland today to register their happiness over the second coming and reappearance of our leader Mazi Nnamdi Kanu in Jerusalem, the state of Israel last month. 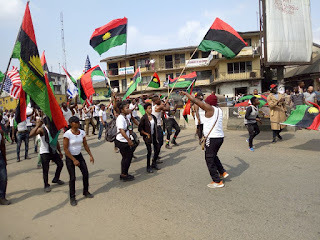 Our leader's reappearance in Israel after the Nigerian government and her security forces including the Nigerian Army, Air force and Naval forces invaded his compound at Afaraukwu Ibeku Umuahia in Abia State last year September is clearly an indication to all and sundry that God Almighty (Chukwu Okike Abiama) is behind the struggle for Biafra liberation. Biafrans are equally today showcasing to the world that we are ready to boycott every Nigerian elections come 2019 especially presidential election next year. 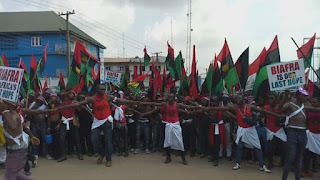 Our march today on the roads and streets across Biafraland must send signals to politicians and saboteurs among us that Biafrans are determined to leave the prison called Nigeria where British government experimented to lead black Africans and other black nations across the globe but failed to live up to the expectations for over 100 years because of the Hausa Fulani caliphate dominations. 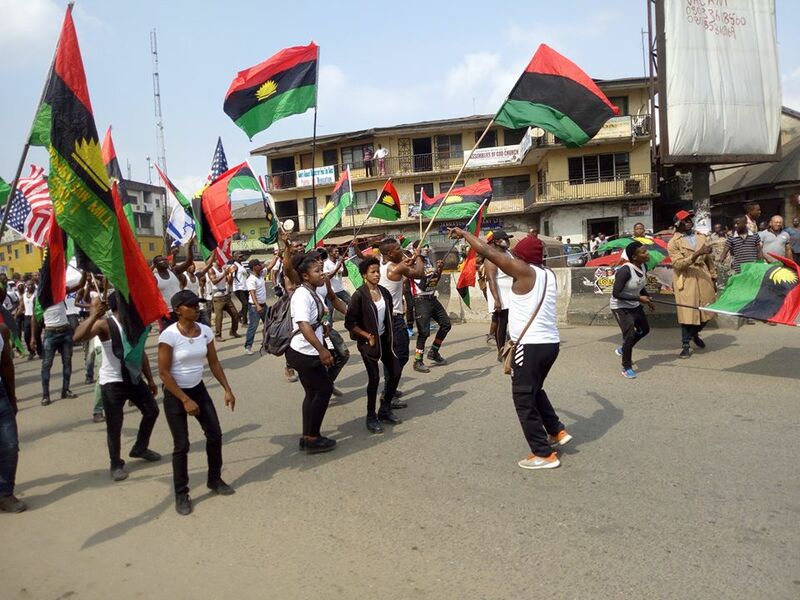 IPOB rally and march today been 23rd November, 2018 is ongoing in all the States across Biafraland like Rivers, Enugu, Abia, Anambra, Delta, Imo, Ebonyi, Cross Rivers, Akwa Ibom, Bayelsa and other Biafra clans and tribes fraudulently caved into Kogi, Benue and Edo States, the unrelented efforts by IPOB family worldwide to restore Biafra sovereignty must continue unless Nigeria Government and it's handlers give us date for Biafra referendum to ascertain whether our people wants to continue stay in Nigeria or not. We are much aware that some unscrupulous individuals and groups including those Biafran stocks who works with Nigeria Government and those who prefer to be slaves in their own fathers land to the detriment of Biafra restoration project. IPOB is divinely ordained restore Biafra sovereignty out of this enclave called Nigeria. We are coming to show Nigerians and it's handlers including their security apparatus what is called civil disobedience because IPOB is more of intellectuals than daft.